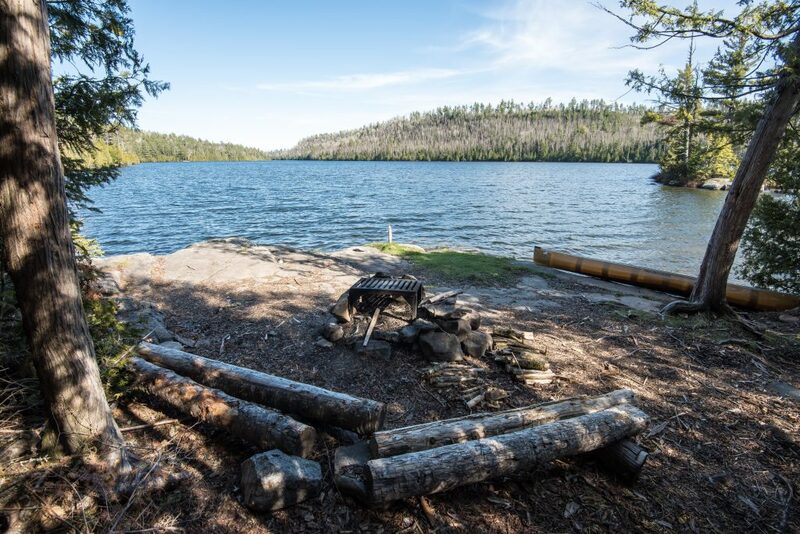 Caribou Lake is one of the most popular lakes for camping and fishing on the eastern side of the Boundary Waters. It is a popular lake for a reason; relatively easy access, better than average campsites, quick access to Johnson Falls and arguably some of the best fishing in the area. Two 200+ rod portages from Clearwater, and a 40 rod portage from the south out of Deer are the two main access points utilizing either entry point #62 or #64. 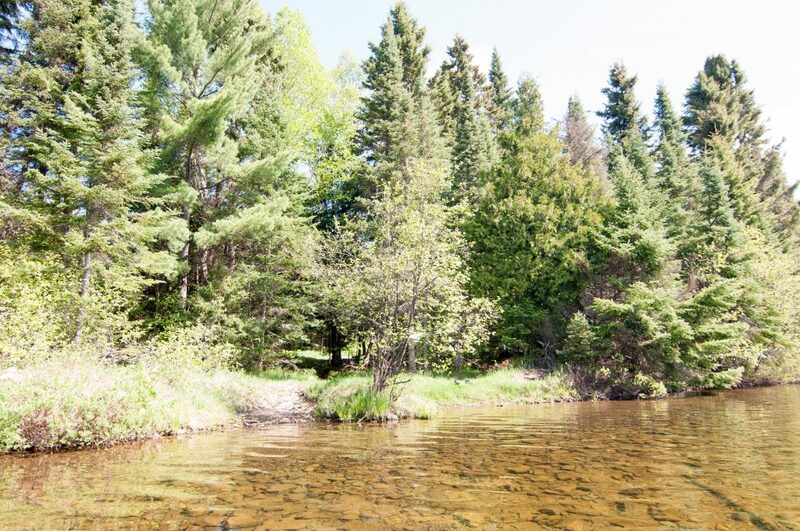 All of the campsites are on the north side of the lake so they all feel relatively quiet, though traffic throughout the day in the summer can be busier than other lakes east of the Gunflint Trail. If big bass is what you’re after then Caribou Lake should be on your short list, this lake regularly produces 20” plus smallmouth. This campsite has a great layout for enjoying the campfire, the scenery and fishing, but its tent pad situation is less than desirable. 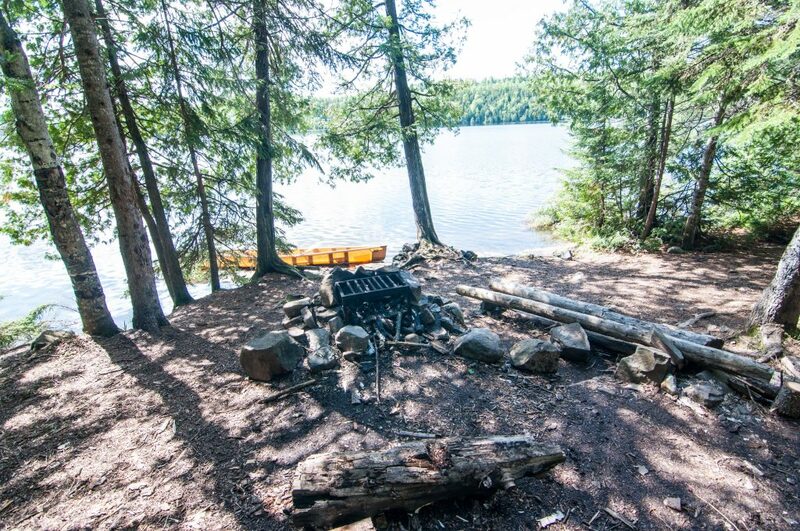 There is a trail that used to be a railroad grade that connects the first three campsites on Caribou Lake to the portage from Clearwater, and this is really the only flat spot to pitch a tent, plus misguided portagers often find themselves wandering awkwardly into your camp. The nice drop off right in front of camp makes for excellent bobber fishing for walleyes in the evening and more than makes up for a stranger popping in for breakfast. This site is just to the east of the first one but still far enough away to be private and is a nice spot nestled in the pines right on the waters edge. It is a very protected site, which can be good during poor weather, and bad during bug season. The size of the site is rather small but has two solid tent pads with a potential third on the old railroad bed and a very cozy fire grate area. Depending on your situation another downside to this site is the trail that runs right through the back of camp connecting the first and third site. This is the last campsite one can access from the old railroad grade and might be easier to find from land than on the water. After navigating the tiny landing along a brushy shoreline a path leads to the site itself which is up in the woods a bit and in a grassy clearing. This would be a worst case scenario during the height of bug season as it gets zero wind and is in a bit a swamp. The tent pads will be very comfortable as the majority of the site is grassy. This would make a great winter campsite. The sounds of a murmuring creek from across the lake will soothe your mind body and soul to rest at night from this excellent spot. 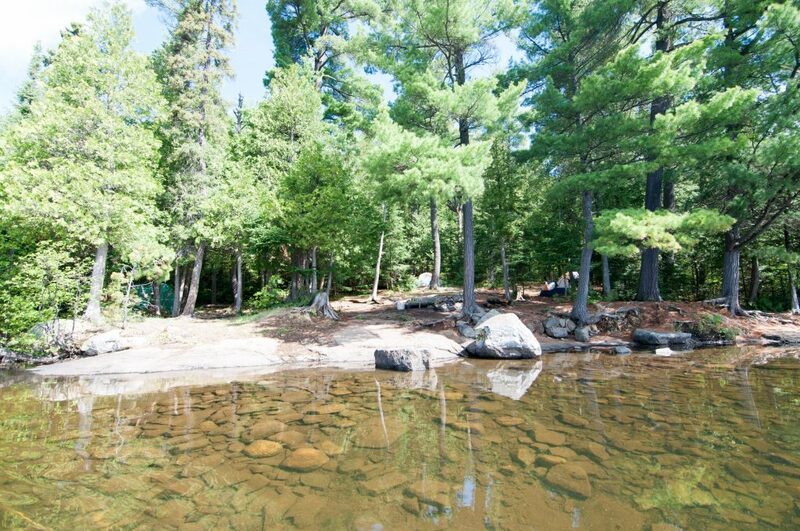 It is in the middle of the lake and there is not another campsite in any direction for quite a ways making it the most private on the lake. 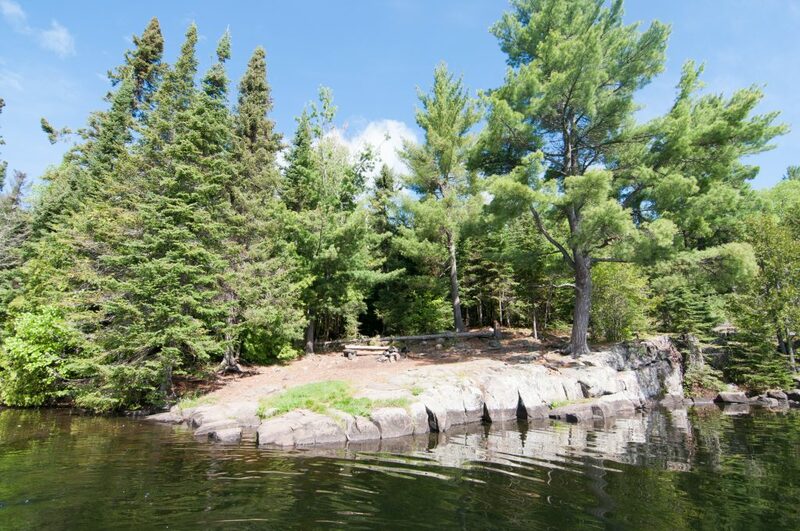 A shallow sloping slab of Canadian shield makes for an excellent landing and leads directly to a nice large and level camp fire area. Multiple solid tent pads and massive white pines perfect for setting a hammock up right next to the water make this the nicest spot on the lake. The only downside is the shallow waters surrounding the site making for difficult shore fishing. 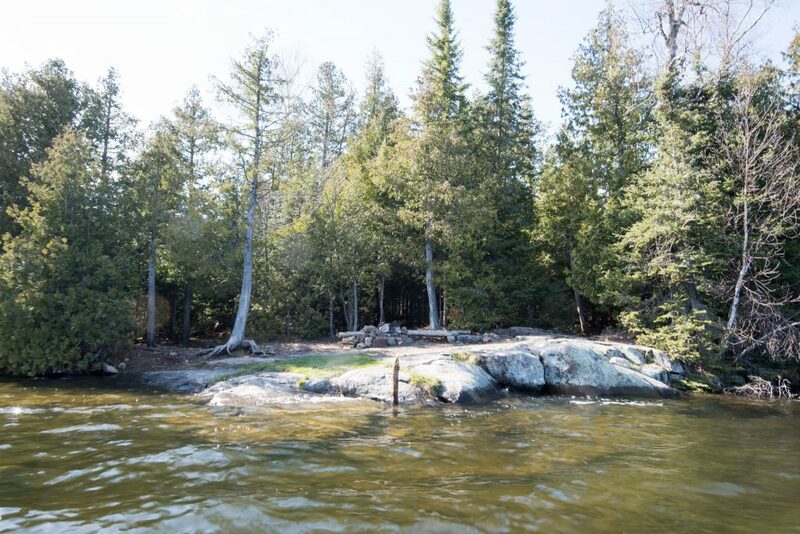 There are two campsites in the “back bay” on Caribou Lake and unfortunately they both face each other; they aren’t really that close to each other but we all know how sound travels over water, especially at night. 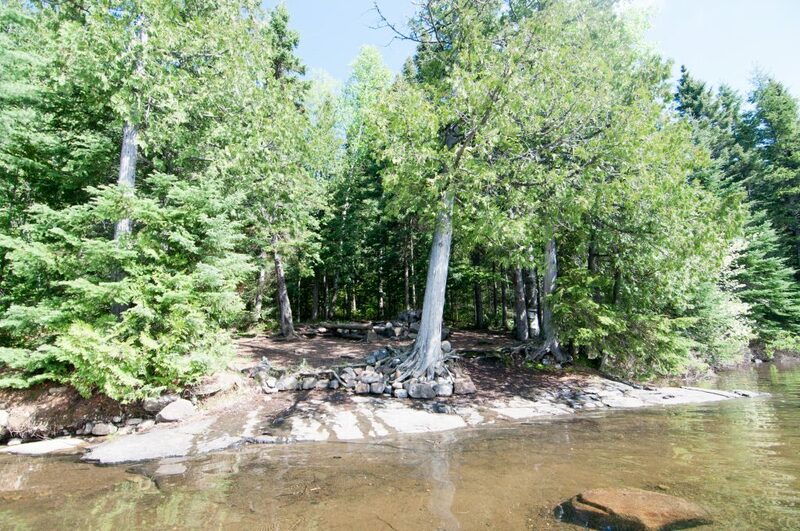 The site itself is fine, with a good landing spot for one canoe at a time and smallish but very nice camp fire area. There is a lot of space for tents and hammocks behind the fire grate. In the spring this far east bay on Caribou Lake offers some of the best fishing in the mid-Gunflint trail area. This spot has the same problem as #5, but if you are the only one camping in there at night it won’t make a difference. 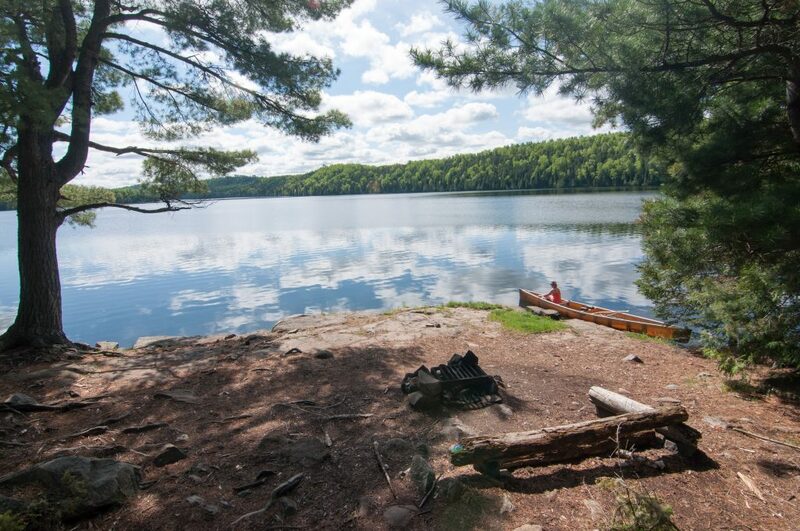 There are two canoe landings at this campsite, and the second one around the backside is far superior to the one right in front. For such a large campsite you would assume tent pads abound, but there really is only two nice flat spots, and finding a third is tricky. The wide open fire grate area and views to the west for sunset make this the most aesthetically pleasing campsite on the lake. This is great early spring spot to bobber fish walleyes from shore as well. I address this campsite in depth in a blog post The Campsite on Little Caribou.